It’s commonly known that the breakfast is one of the most important meals of the day. Yet, the majority of people don’t pay much attention to it. People usually don’t think about breakfast too much as they are often in a hurry to work. It’s easier just to grab anything on-the-go and treat it as a breakfast. I know it may be hard sometimes to think about healthy breakfast when you have deadlines and busy day ahead of you. The breakfast is an important meal as it should provide your body with a lot of nutrients to kick start your day. 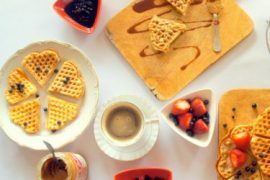 I will share with you some of the breakfast ideas I prepare when the busy day is waiting for me. If you think you don’t have a time for preparation, don’t worry! 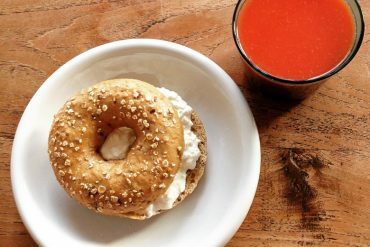 These healthy breakfast ideas won’t take you more than 30 minutes to prepare and you can grab it on-the-go. There are so many benefits of having a healthy breakfast daily and the whole article could be written on that topic. I will mention the most important benefits that go along with busy people. First of all, breakfast should be filled with minerals, vitamins, proteins, and carbohydrates. This combination of nutrients will simply kick start your day as you will start the day energized and ready for any obstacle. Once the breakfast is digested and your energy high, you can expect the improvements in focus and productivity. The metabolism will boost and it will lead to enhanced body fat burn and weight loss. If you think you don’t have time to prepare a healthy breakfast and instead of grabbing the unhealthy alternatives then you’re wrong. I will share with you the healthy breakfast ideas that will boost your energy through the roof. Also, all of these breakfasts are prepared in the minutes and ideal for bringing it with you to the work or college. This one is perfect for people who love smoothies. The great energy booster for a glorious beginning of the day. And yes, the preparation will only take you minutes and you can grab it on-the-go. Step 1) Put everything together in the blender. There is no order, just put it inside and blend it. Step 2) Once it becomes smooth, pour it into the proper glass and leave it in the fridge for some minutes. That’s everything! You only need a few basic ingredients and blender. 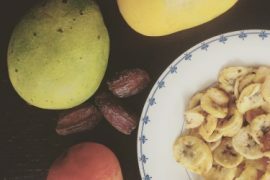 This breakfast won’t take you more than 5 minutes to prepare but will give you a huge boost of energy. 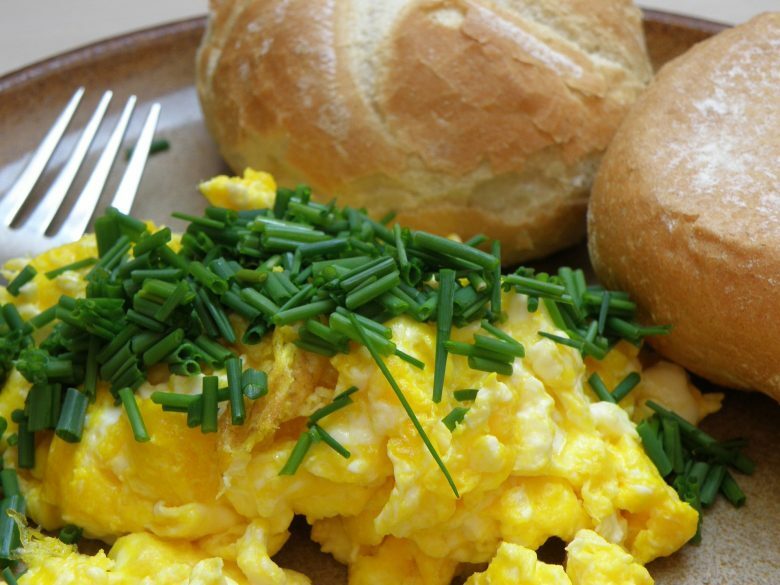 The eggs are one of the most typical breakfast food and it’s very healthy! There are hundreds of ways to make the breakfast eggs, but this one is very healthy version as it’s filled with vegetables. Step 1) Heat the oil on a low-heat and put the tomatoes on it. Cook it for a minute or two for each side. Cook the water in the skillet. Step 2) Put the tomatoes on the plate and add more oil in the pan. Place the mushrooms and thyme on the pan and cook it until mushrooms get the golden color. Step 3) Once the water starts heating, put the eggs inside and cook it for 5 minutes. Step 4) Remove the peel, mix up the vegetables and cut the bread. Put the mixture on the bread along with eggs on top. And you’re done! You need around 20 minutes to prepare this breakfast. It’s easily packed and you can bring it with yourself on the work or college. This one is filled with the nutrients, so you can also eat it as a snack during the day. 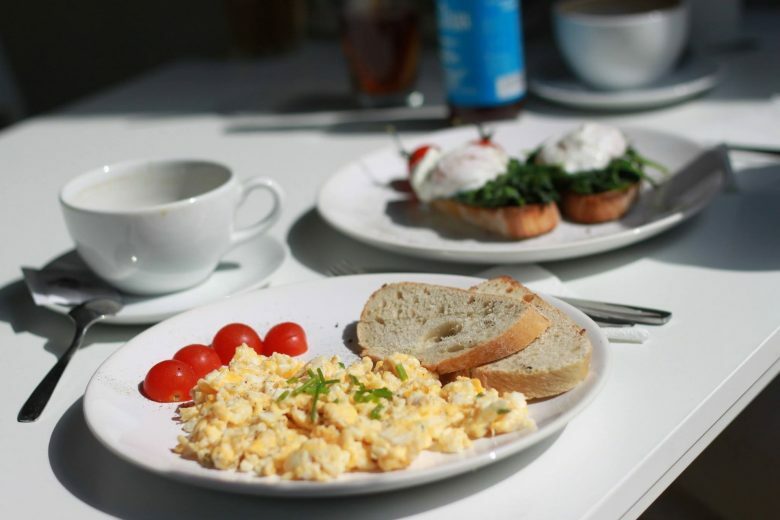 Eggs are very nutrient breakfast and it’s a highly portable meal which is ideal for busy people. 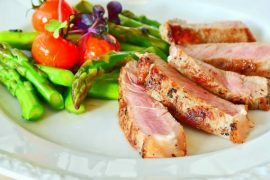 This recipe is filled with vitamins, proteins, and healthy fat. The ideal combination to kickstart your day! Step 1) Crack the eggs and put the salt and pepper on it. Stir it up in a small bowl. Step 2) Heat the olive oil in the pan. Add tomatoes and beans to the pan and cook it for 3 minutes on a medium-heat. Remove the vegetable and put the eggs in the pan. Step 3) Mix tomato with beans and add pesto. Put the mixture on the bread and eggs on top of it. There you go! You have a simple, but tasty and healthy portable breakfast that won’t take you more than 10 minutes to prepare. If you love eating tortilla wraps then you will fall in love with this simple tortilla breakfast. Tortilla wraps are one of the most portable food, so you can easily bring it with you to work. Step 1) Cook sausage in the skillet on medium-heat. Cook it until the sausage breaks or there is no more pink color. Step 2) Put the eggs in a deep skillet and cook it for 5 minutes. Step 3) Cut the sausage and eggs, put it into tortillas evenly. Add Parmesan, salsa and sour cream. And you’re all set! This portable breakfast is perfect for someone who doesn’t have much time for preparation. It will take around 10 minutes to have a protein filled breakfast on-the-go. Do you have healthy and portable breakfast recipes you love to prepare when you have a busy schedule? I never skip breakfast — EVER! These are such great ideas to fuel you for the day! I am a huge fan of eating breakfast. It gets me off to a great start! This collection looks great! That poached egg with mushroom and tomato looks delicious, but I was thinking about that smoothie … I would eat all of those ingredients together in a bowl! You wouldn’t even have to make a smoothie out of it! Breakfast is really important that’s why I never ever skip breakfast. These are really awesome recipes, Agness, but the problem is I don’t like Mushrooms even nobody likes mushrooms in my house. Can I replace Mushrooms with another thing?? Rest all the recipes are looking very yummy. Will try all these at my house party. Thanks for sharing these recipes with us. Best wishes and regards. Thanks a lot, Surriya! 😉 Feel free to prepare the recipe without mushrooms. Breakfast is important for me too, I try to eat later nowadays to allow my body to hold a longer fasting time, but still I never let it out. I prefer to skip lunch if the breakfast was a bit later than intented or too filling. These are great breakfast idea, I could hardly say what I would like best. Probably the tortilla, if I really had to choose. I love breakfasts too! 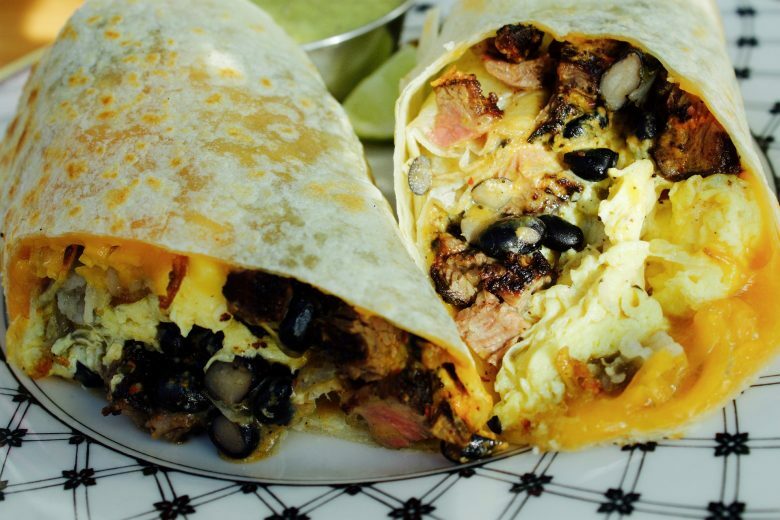 I think your breakfast burrito recipe look so fabulous! Thanks, Heather, you’re right, this photo was confusing! And thanks for your kind comment! I love breakfast and now with 13 month old twins we are much better about eating a good one because they need to eat. We love eggs, oatmeal, etc. and these are all great ideas – love breakfast tortillas! Dear Agness, you do great work with all of the ideas ! Thank you so much ! Will be back !